Amy is passionate and dedicated to providing exceptional high levels of client assessment and service, working for the sole interest of the client. She has an ability to handle multiple projects simultaneously and is well respected by colleagues and clients for her attention to detail and commitment. Amy’s desire to work in case management stems from a desire to enhance the lives of those that have had irrevocable injury. Amy qualified in 2003 and has had the opportunity to gain vast experience in several clinical areas. She now specialises in complex neurological injuries and conditions. She has worked both in the NHS and for a leading head injury charity providing specialist brain injury rehabilitation and assessment. This has included assessing clients with complex needs to establish baseline abilities, completing standardised and non-standardised assessments to develop treatment plans and provide in-patient and community based rehabilitation. She focuses on involving clients to set achievable goals and maximise their independence and safety. As a moving and handling key trainer, Amy is proficient at co-ordinating care plans for moving and handling and providing rehabilitation techniques for the multi-disciplinary team and family to follow. She demonstrates proficient interpersonal skills, being able to adapt her personable approach to gain the respect and trust of clients, their families and other professionals involved. Amy has a great passion for posture and seating. 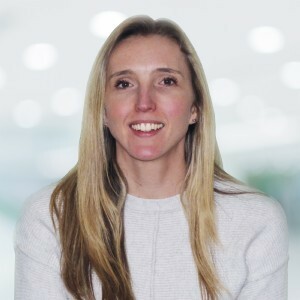 She has worked as a Specialist Wheelchair Therapist for the NHS for four years completing specialist seating and posture assessments for complex clients to include neurological conditions, spinal injuries and amputees. She has a vast knowledge of manual and electric wheelchairs for leisure, school and work. She values the important of working closely with prosthetic and private/NHS therapists to ensure a holistic and detailed assessment of needs and correct wheelchair and seating provision. Amy also has a comprehensive knowledge of pressure care and prevention which has involved pressure mapping assessments and close working with tissue viability nursing teams. With regard to the litigation process, Amy has worked as an expert witness since 2012 completing many reports on different cases to include medical negligence and personal injury. In 2017 Amy gave evidence in Court on the highest settlement in case history. She is confident in her work and experience and can articulate her opinion clearly, presenting highly professional yet approachable. As a moving and handling key trainer within the NHS, Amy has compiled training packages for trust wide occupational therapy services, to include both clinical and non-clinical staff. She has delivered presentations to University Students, NHS in-house training programmes and Consultant meetings. More recently, Amy was invited to be a lead speaker for a CPD training event, delivering training on Seating for Function and an interactive workshop for manual and electric wheelchairs. Amy is married and has two small children who are two and four years old. The family are sporty and are involved in playing hockey, cricket and tennis. They also have a dog which gets them walking in the countryside. Amy loves to be involved in community events and is also on the local Preschool Committee. Amy has personal experience of working with complex needs as her cousin has a rare motor and sensory neuropathy. Amy has been instrumental in encouraging her to live life without boundaries and, although she requires a wheelchair and assistance with almost all activities of daily living, Amy’s cousin has recently qualified as a solicitor and works for a top law firm in the city.